...and more gifts... - monemades Webseite! Some other things I have worked on over the past few months have meanwhile arrived at their destination, so I can now share them here. 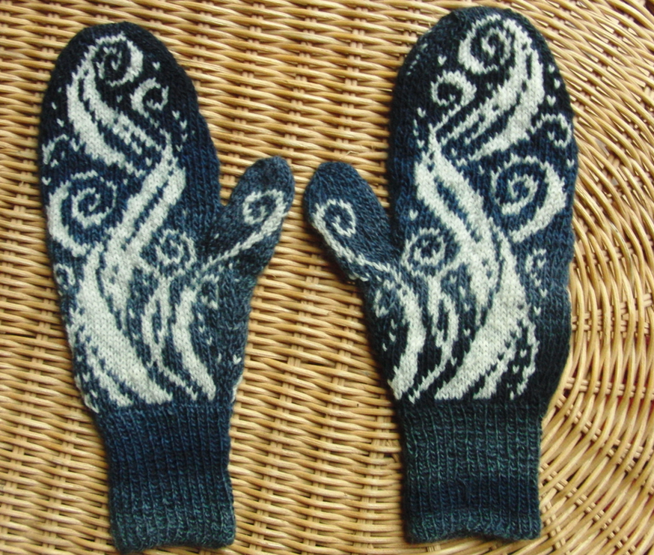 :) For my partner in our Christmas swap I made a pair of Candlesmoke Mittens (Pattern by Barbara Gregory, available on the Twist Collective Website, here). It’s a great and easy to follow pattern, but I knit the mittens in size L and I admit, I was quite worried whether these would fit. My hands are rather small and these looked sooo big. But by now I know they fit perfectly and were well received. I might have to knit them again, love the look of them. 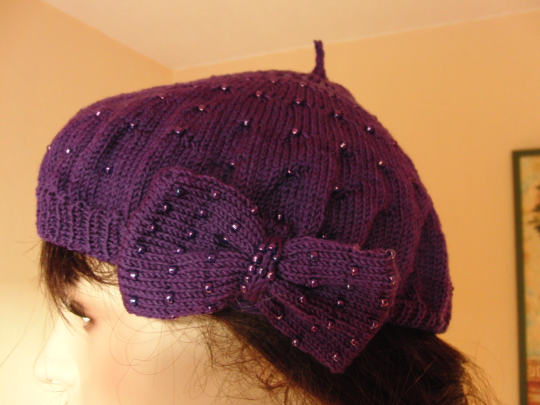 Another gift I finished a while ago is the Glimmer Beret (pattern by Erron Anderson, available at Ravelry, here), or rather I knit three of them, one for all the ‘girls’ in the family. It’s a bit ‘bead heavy’ for my taste, but I like the style, very 40ies. I used Wollmeise Pure and one skein was sufficient for three hats.